There’s no shortage of talk in the convenience industry of trends. 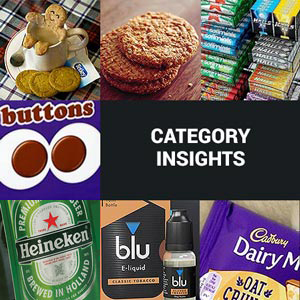 Trends in categories, trends in products types, trends in shopping habits, in shopper profiles, in store types. For many retailers it’s enough work to just open the shutters and get through the working day. For many more however, there is the support and advice of a symbol group. This is one of the biggest overarching trends in convenience. Stores in Scotland may be growing, but the rate of growth among symbol stores far surpasses the overall market. Why is that? On a very simple level it is the assurance that is provided by being part of a bigger group – there’s the buying power that allows even the smallest stores to lean on buying teams with years of experience, flexing budgets that run into the billions of pounds. There’s the marketing support – more and more groups are turning to TV advertising to promote their brand. By being part of that family, a small independent retailer can see their store’s fascia on prime-time TV. Then there’s the financial support – the fund available to draw on for refits, the installation of a new fascia to brighten up the front of the shop. There’s the IT support, the help in understanding an EPoS system, in making ordering a stress free process, the delivery of stock three times a week (or more or less, depending on your preference) meaning less trips to the cash and carry and more time to make more of your business. The ‘pros’ column for retailers considering joining a symbol group is undoubtedly packed. 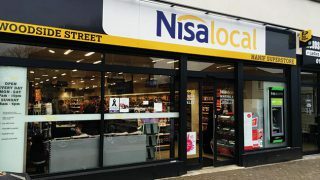 There are now more fascias than ever before; major groups have launched different fascias for different types of stores, in different areas. There is more precise targeting that provides retailers with exactly the type of business support they need. This understanding that one size simply does not fit all has allowed certain groups to expedite their growth and their store numbers. And there’s a lot of competition out there. 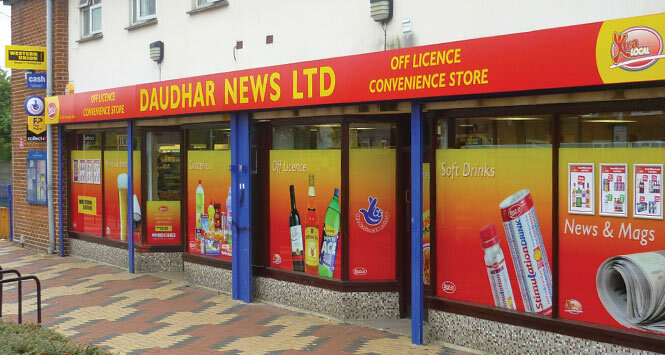 Scotland has 5,602 convenience stores, one for every 946 people in the country. 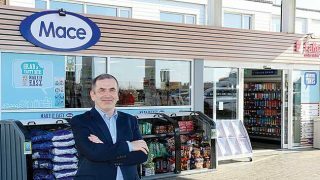 Sales in convenience stores are divided, according to SGF/ACS figures, into 38.1% symbol groups, 33.6% multiple chains and co-operatives, and 17.4% non-affiliated independents. Research from IGD suggests that the decline of unaffiliated stores is actually slowing though, so are more store owners happy to retain complete independence? The market has also been shaken up by franchises. The launch of One-stop in Scotland has created an option that was never previously available, and so competition intensifies. What is clear is that there is more on offer for retailers than ever before. The other great trend in convenience retail at the moment is convenience retail itself. In the 12 months to April 2015 the convenience market generated £37.7bn in sales, in the UK. This represents a year-on-year increase of 5.1%. Convenience is set to be one of the fastest areas of growth in the grocery industry over the next five years and symbol groups would argue that for any retailer to take full advantage of this growth, the support on hand from a symbol group is a must. Premier and Family Shopper are operated by Booker Group, the UK’s leading food & drink wholesaler, who have over 200 Booker and Makro branches throughout England, Wales, Scotland and Northern Ireland. 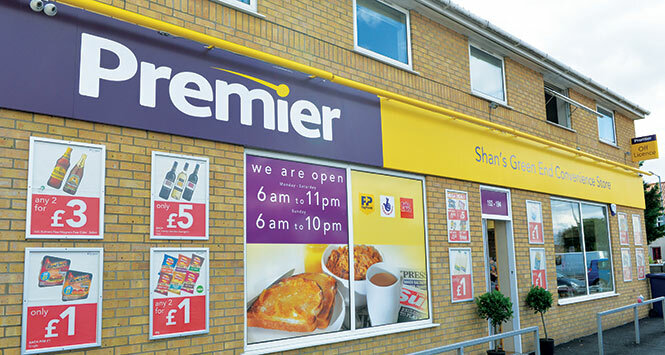 Premier is the UK’s number one symbol group with over 3,200 stores nationwide. The group is committed to delivering more profits for retailers and a better shopping experience for consumers. Premier has delivered double digit growth for thirteen consecutive years. Premier has recently started to advertise on TV. This is a yearlong commitment to advertise Premier everyday which means over 100 million views of the advert nationally. The TV advert will include Premier’s famous Mega Deal promotions which have increased to four each promotional period. 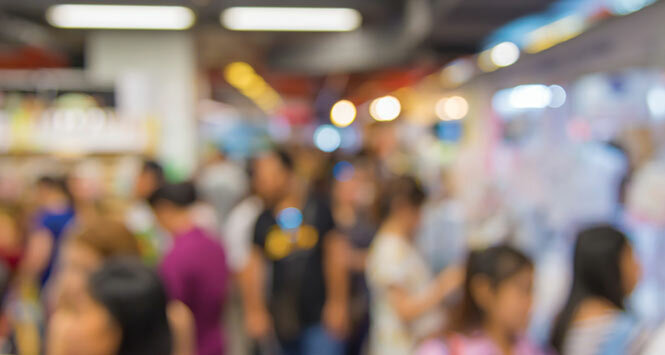 As well as this, retailers also benefit from a full promotional programme covering all categories of fresh, frozen, grocery and impulse to ensure great value for shoppers to drive footfall into stores. This market leading promotional package, along with own-label and price-mark-packs, really drives the value message to help retailers grow their business. Family Shopper is a new discount format for independent retailers that brings together the strength of symbol retailing with the great value available in the discount channel. It has been specifically developed to help independent retailers capture the growing sales and profits from the discount sector. The unique discount format provides retailers with everything that shoppers would expect from a convenience store including chilled, alcohol, grocery and tobacco along with services such as Lotto and Paypoint. This is then combined with the best of the discounters covering a fantastic range of £1 non-food items such as stationery, kitchen utensils and party accessories, with a broad seasonal offering and a frozen section. Providing comprehensive disciplines, all Family Shopper stores offer a simplified range that removes duplication. Also merchandising in full trays makes the format easy to operate while minimising back stock and easing cash flow. Both Premier and Family Shopper retailers can take advantage of delivery at cash & carry prices, ordering on line and having the ease and convenience of shopping at branches. This helps to maintain the exceptional availability which in turn offers better customer service. Both brands do not operate any membership or joining fees and installs the fascia and imagery free of charge. A wide range of additional services such as recycling, energy savings, free EPoS and drop shipment are also available that have been specifically created to add value and keep costs low. Despite managing its Best-one estate down to remove non-performing stores, sales in Scotland continue to grow by 17%. Bestway Batleys’s managed symbol group has had an exceptional year in Scotland as the group continues to post impressive year on year double digit growth. This is made all the more remarkable as the group has been debranding non-performing stores over the past several months. 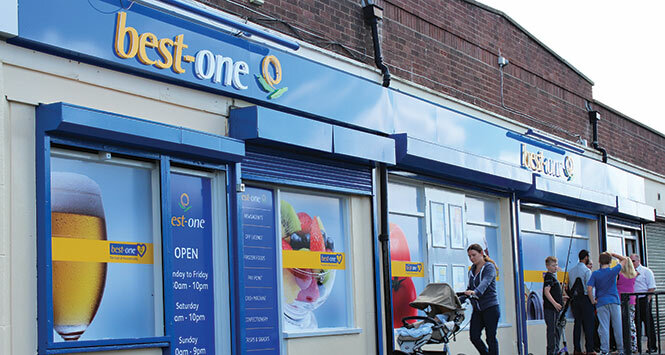 Best-one’s sales in Scotland have grown by 17% over the past year with member numbers increasing by 11% despite the rationalisation to 155 stores. Destination categories such as chilled and fresh are driving this growth with growth levels in excess of 75% on fruit and veg and butchery. Packaged chill is also performing well with growth of over 36%. Eighty percent of all chilled and frozen products are available as singles to Best-one retailers meaning members can offer the breadth of range required from a modern convenience store but without the added expense of having to invest in depth of range. One in every three baskets now includes fresh or chilled produce and the group’s five Scottish delivery hubs can now deliver up to three times per week to members if required to minimise wastage and guarantee longer shelf-life. Established categories such as soft drinks, grocery, confectionery and petcare are all enjoying growth exceeding 15% ensuring members have the best sales mix for their stores and customers. The Bestway group’s purchasing power of over £2.5bn means that Best-one members receive the most competitive wholesale pricing and rich monthly consumer promotions. Added to this is the most generous rebate scheme in the sector, My Rewards, which gives members the opportunity to earn up to 5% cashback on their purchases with the average payout per qualifying retailer being £7,500 per year. The group has also increased by 50% the number of Business Development Executives to help members with store development and take advantage of a better sales mix from consumer-driven need state categories such as chilled & fresh foods. Members receive a monthly call (weekly for the first six weeks of joining) from their BDE offering everything from advice on ranging and planograms to sales development and legislative guidance. For more information on Best-one, contact your local Batleys depot, visit www.best-one.co.uk, email enquiries@best-one.co.uk or call 020 8453 8353. Batleys Xtra Local retail club continues to deliver impressive growth for members in Scotland. For many retailers joining a fully blown symbol group is neither an option nor a desire. And it need not be a requirement of success. Many retailers throughout Scotland are choosing to stay independent while reaping the rewards of highly competitive pricing, extended buying in periods and fantastic consumer promotions through Bestway Batleys’s Xtra Local retail club. Xtra Local from Bestway Batleys gives retailers the tools to compete without any complex contractual tie-ins, joining fees or monthly charges – retailers only have to commit to a minimum spend and allocation of monthly ‘Must-Stock’ promotions –putting them in control of their business. “Retailers are flocking to Xtra Local as membership gives them enormous benefits over cash and carry shoppers. They get the same everyday cash and carry prices but also specially created monthly deals which they can access two weeks before the promotions becomes live in depot. They also get professionally designed point of sale to highlight offers and drive customers in to their stores” says David Livingstone, regional controller for Scotland. Membership has increased by over 20% over the past year with sales up almost 19%. Product categories are also being redefined as retailers are changing their stores to reflect the changing needs of shoppers. Over 23% of Xtra Local members are now buying into the fruit and veg category while 20% more are now stocking fresh meat – core categories for the convenience shopper. With no ongoing payments or signing up fees, Xtra Local gives retailers the opportunity to offer fantastic value to customers with a 35 incredible monthly offers. These monthly promotions cover all main impulse and grocery sectors and are complemented by a complete range of professional point-of-sale material, free individualised consumer leaflets to help drive footfall and continued support from their local business development executive. There is also a scaled down format – Xtra Local Xpress – for more impulse-led retailers who only need to comply with 15 promotions. Full information on Xtra Local is available from Batleys depot managers or from the Xtra Local Website – xtralocal.co.uk. Your local knowledge combined with our retail expertise is the perfect partnership. With unrivalled buying power, specialist advice and ongoing support we can tackle market challenges, compete against the multiples and help grow your business the way you want to. We offer the largest volume buying power in the UK Convenience sector – worth £5 Billion, through our joint venture buying company, The BuyCo, whose sole purpose is to negotiate the best prices for our retailers. Our pricing is simple, transparent, fair and incredibly competitive. You can offer shoppers excellent prices because of our great wholesale prices, delivering strong margins for retailers. There are no hidden charges, no surcharges and no membership fees. We also offer competitive rebates. You want a store that shoppers trust and recognise, and that has your personal touch and is tailored to meet the needs of your community. 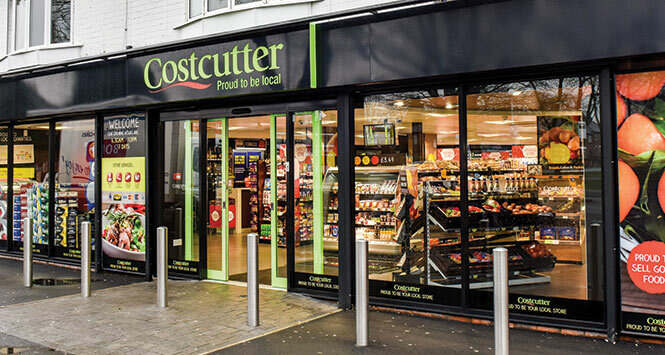 Our three powerful retail brands – Costcutter, kwiksave and Mace – are famous for value and delivering a strong retail experience across a broad range of convenience formats, including high street, village, large urban stores, forecourts and CTNs. Our partnership with Simply Fresh complements our brands and present exciting growth opportunities. We recognise and respond to the on-going change in convenience shopping, from distress purchase to regular grocery shops which is why we offer over 10,000 best-sellers so you can tailor your range, the best promotions in the independent sector with over 300 deals every three weeks and free POS to ensure your promotions are unmissable and drive sales. Our own brand Independent offers high quality at great value prices. It is a great alternative to big brands across three tiers – Independent Trader, Independent and Independent Specialist – and has been created just for local shops, giving people more reasons to shop and stay local. We build awareness of the brands with marketing that is focused on your local community – building engagement and driving sales. We significantly invest in TV and advertising, free POS, bespoke leaflets and offer industry leading digital marketing. We also boost sales with major seasonal promotions and events. In partnership with Palmer and Harvey, we deliver a personal and flexible service with Tri-temp vehicles allowing you to get all your goods in one easy to manage delivery at a frequency that is right for your store. 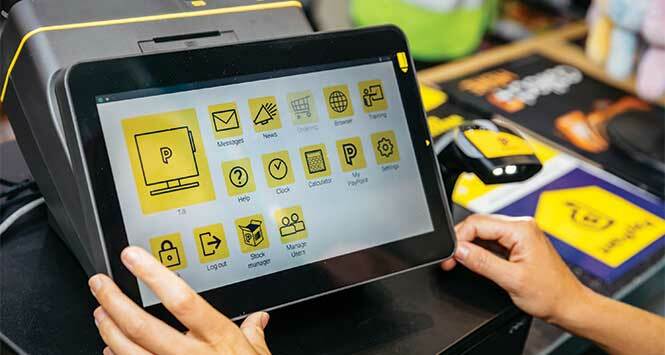 Our cutting edge Activ Technology systems, including ActivCPoS, ActivOC and our retailer portal ActivHUB, have been developed in-house by retailers for retailers to make your ordering process hassle free. We have been championing independent retailers for the past 29 years. Together we can make sure that it is the independent retailer that triumphs. Call 01904 486 543 now to book an appointment with one of our retail advisors.